George Mullins in Culture & Arts Music on 5 December, 2017. Bouncing off of the success of their phenomenal first album ‘My Love Is Cool’, Wolf Alice ramp it up to eleven on their explosive second innings ‘Visions of Life’. Released through Dirty Hit records, which is responsible for other pivotal alternative artists such as The 1975, The Japanese House and Pale Waves. This record certainly builds upon their grungy, indie-rock punk image that they are perfecting. Fronted by the alluring temptress Ellie Roswell, the four-piece rock unit from London found major success in the indie music world with the release of ‘My Love is Cool’ in 2014. Since then, their songs have been featured in many adverts, TV shows and films, most notably appearing in Danny Boyle’s ‘Trainspotting 2’. The telegraph described them as ‘feral’, which seems to be an appropriate summation of the band’s sound on grungy tracks like ‘Giant Peach’, ‘Fluffy’ or ‘Moaning Lisa Smile’. However, tunes such as ‘White Leather’ and ‘Bros’ show a more delicate folk influence on their distinct sound. The song crescendos and thickens, reflecting the increasing intensity of the singer’s relationship. In the run up to the publication, I was sceptical about the album. ‘Yuk Foo’ was the first single off the album to be heard by the public. The song is generic and simple popular punk, the type of music that the indie industry has become saturated with in recent years. The lyrics are dull and lack any sense of poetic nuance just like their own opening words, ‘you bore me’. However, the second song that I heard from this album was ‘Don’t Delete the Kisses’. As well as being the best song on the album, the romantic tune has quickly become my favourite work in their growing songbook. The catchy synth motif repeated throughout the pieceis accompanied by a steady drum beat and softy spoken lyrics. Warm chords played on the keyboard float in the background of the mix. The song crescendos and thickens, reflecting the increasing intensity of the singer’s relationship. ‘Space and time’ opens with distorted rhythm guitar strummed in the same manner as a Clash song. Roswell bleats out the chorus with all the conviction of the next great voice in rock’n’roll. Joel Amey’s drums smash and crash, propelling the rock song forward. The title track of the album, ‘Visions of Life’ is a dark, slower piece that involves verses of Roswell singing alongside tapping drums and a rather ominous bassline played by Theo Ellis. Coming in at near eight minutes, it is the longest song on the record. Explosive layered guitar riffs make it seem like more of a thrash metal song at times. At other times, the mix is sparse, and the vocal melody creates a psychedelic folk atmosphere. Say what you like about the final song, but it shows Wolf Alice are capable of experimenting and investigating new sounds. Other notable songs on the album are largely instrumental opening song ‘Heavenward’ and ‘Beautifully Unconventional’ with its funky bass line resting behind memorable tinny guitars. 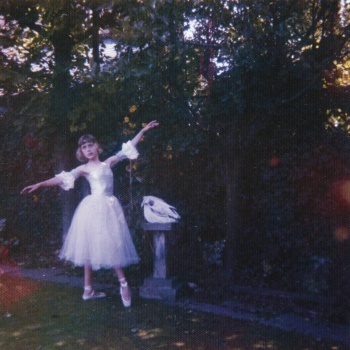 While the album fails to replicate the highs achieved in ‘My Love Is Cool’, it is still worth the listen for Wolf Alice fans. ‘Don’t Delete The Kisses’, in particular, is essentially listening. The artwork of the album speaks of the somewhat, darker and heavier tone that fills the album.